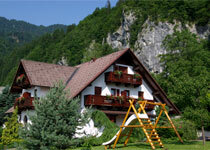 You can find our pension on a beautiful location in Bohinjska Bela, a small village between Bled and Bohinj. 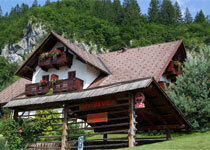 We are 4 km away from Bled and 15 km from Bohinj. 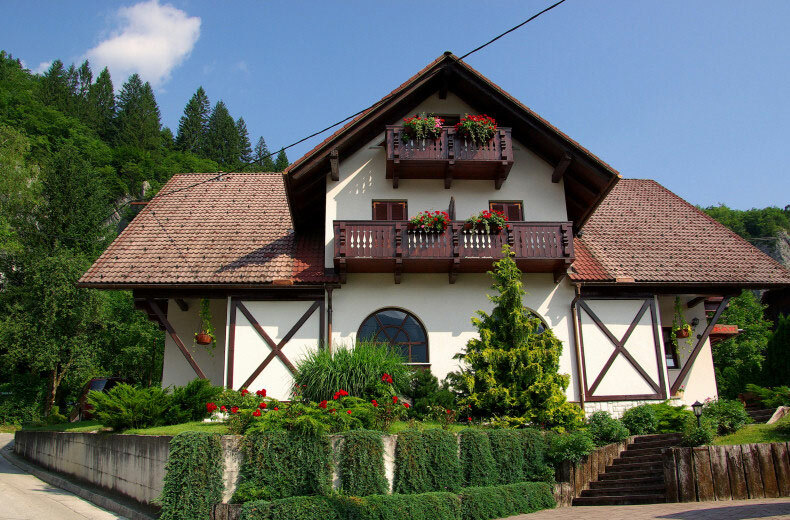 The house, under a rocky side of a hill, has a beautiful view on the green "Jelovica" and "Babji zob". We have a nice and big garden with playing-tools for our youngest guests. Car parking place is in front of our pension. With prior notification, guests are welcome to bring along their pets. All of the rooms are newly decorated and fully furnished, which we are confident you will find both comfortable and relaxing. We have a large open terrace where you can relax with friends, enjoy a refreshing drink, read in the sunshine, or just admire the alpine peaks before you. 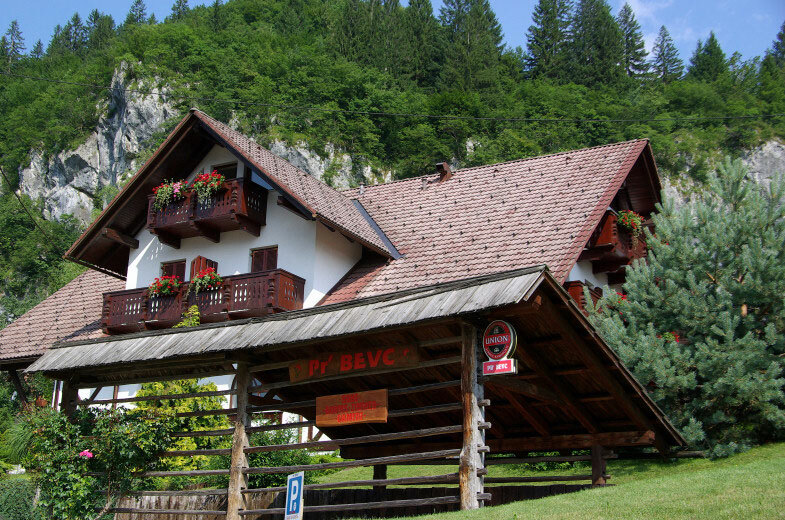 In the winter you can go skiing to the near ski slopes, sliding in the ice-hall or on the frozen lake of Bled or sledging from the surrounding hills. 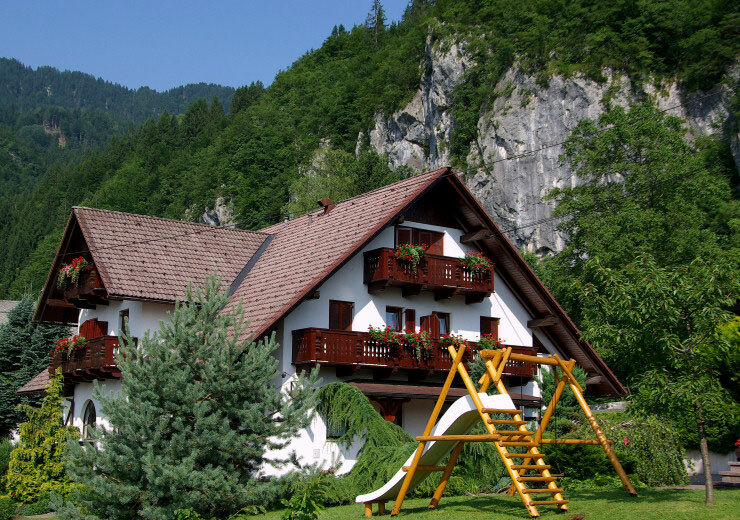 In the rest of the season you have the possibility to mountaineering, climbing, taking shorter or longer walks, cycling, fishing, mushrooming, rafting, swimming in the lake and hotel pools. We can also arrange a survey of the beautiful underground cave under the "Babji zob".